In the programs list, right-click Veeam Backup & Replication and select Uninstall. If you have Veeam Backup Enterprise Manager installed on this machine, Veeam Backup & Replication will uninstall both components. Wait for the process to complete. If the program list contains additional Veeam Backup & Replication components, right-click the remaining components and select Uninstall. 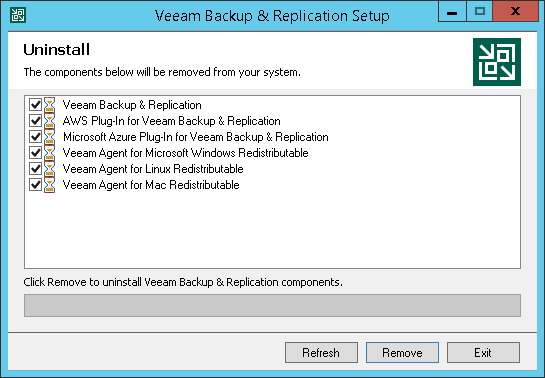 The Veeam Backup & Replication configuration database is not removed during the uninstall process. All configuration data stored in the database remains as well.